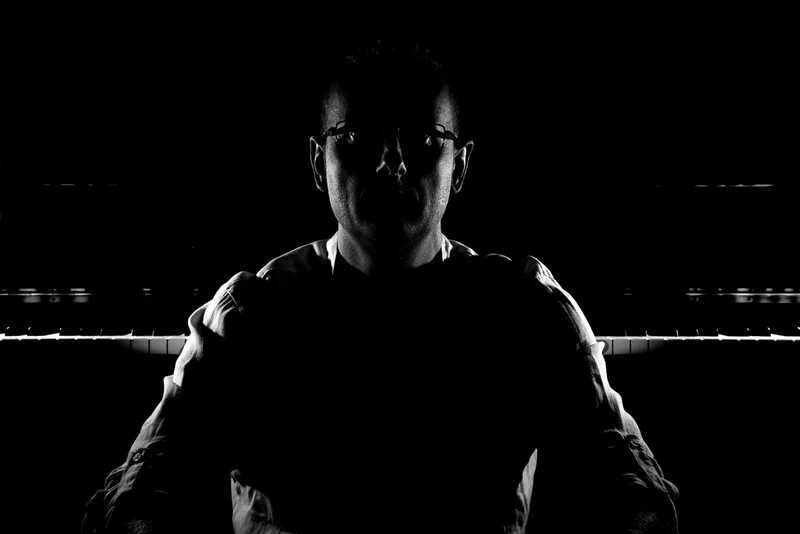 Pianist, composer and arranger, he graduated in Classical Piano in 1994 and in Jazz in 2000 at “Umberto Giordano” Music Conservatory in Foggia (Italy). He has also a Degree in Economy with Marketing specialization, at University of Foggia in 2004. He is Professor of Piano Jazz at “Luca Marenzio” Music Conservatory in Brescia (Italy). He collaborates with some of the best contemporary jazz musicians among which Javier Girotto, Gabriele Mirabassi, Fabrizio Bosso, Valtinho Anastacio, Max Ionata, Roberto Ottaviano, Michele Rabbia, Kiwha Lee, Yeahwon Shin. He also collaborated with the Italian very famous actors Michele Placido and Giorgio Albertazzi and with Magna Grecia Orchestra and U. Giordano Orchestra. 2016. “Nocturno” recorded with DUO project with Gianni Iorio on bandoneon released in May by prestigious label ENJA Records by Matthias Winckelmann. Liner notes of album are written by Oscar Award Luis Bacalov. 2016. His composition entitled Milonguita has been arranged and recorded by the famous cellos ensemble “12 Cellist der Berliner Philharmoniker”, all members of the most famous Orchestra, in the new album called “Hora Cero” released by Sony Classics. The album contains compositions by Astor Piazzolla, Horacio Salgan and Pasquale Stafano. 2012. “D’impulso”, recorded with Javier Girotto as special guest, released by German label Jazzhaus Records. 2008. “Tango Mediterraneo”, a new album with original compositions by Pasquale Stafano and Gianni Iorio, recorded with Gabriele Mirabassi as special guest. 2005. “A night in Vienna for Astor Piazzolla.”a live CD recorded in Porgy & Bess jazz club in Vienna, produced by the prestigious Italian jazz label PHILOLOGY. The CD has been positively reviewed by the most important music magazines in the world. 2002. “Astor’s Mood”, the first “Nuevo Tango Ensamble” CD released by the REALSOUND classical label. Every album has been reviewed by a lot of International Music Magazines all over the world like Suonare News, Musica Jazz, Jazzit, All about Jazz Italy, La Repubblica, Jazz Collective, Jazz Convention, Jazzitalia, Jazzthings, London Jazz, Oasi Walk, Jazz podium, Songlines UK, Amadeus, Jazz Rhythm, Cuadernos de Jazz, Nestor Minsk and many others. 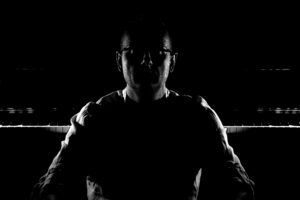 His composition “El compadrito” was selected and included in a CD compilation with the best jazz composition by Apulian composers called “Pugliasounds 2012”. In December 2014 he composed and arranged together with korean composer Jungbum Kim two compositions for movie soundtrack “Chronicle of a blood merchant” by Ha Jung-Woo released on 15th of January 2015. With his projects he currently performs all around the world in some of the main Theaters and Jazz Clubs like: Teatro Paisiello in Lecce (Italy), Teatro Abeliano in Bari (Italy), Teatro Giordano in Foggia (Italy), Teatro Lauro Rossi in Macerata (Italy), Nymphenburg Castle in Munchen (Germany), Duc Des Lombardes in Paris (France), La Palma and Alexander Platz in Rome (Italy), Ferrara Jazz Club (Italy), Folk Club in Turin (Italy), Maison Musique in Rivoli (Italy), Chorus in Lausanne (Switzerland), La Spirale in Friburg (Switzerland), Porgy & Bess in Vienna (Austria), Treibhaus in Innsbruk (Austria), BP Club In Zagreb (Croatia), Panic Jazz Club in Marostica (Italy), Opus Jazz Club (Budapest – Hungary), Dusseldorfer Jazz Rally in Dusseldorf (Germany), Jazznastarowce in Warsaw (Poland), Beat Onto Jazz in Bitonto (Italy), Tam Jazz in Pedaso (Italy), Bolzano Jazz & Other (Italy), Bucarest Music Festival (Romania), Fivizzano International Festival (Italy), Macerata Jazz Festival (Italy), Groznjian Jazz Festival (Croatia), Cracjazz Jazz Festival (Poland), Gipfel du Jazz in Freiburg (Germany), Gulf Jazz Festival in Dubai (Arab United Emirates), Kuwait City (Kuwait), Manama (Bahrein), Emmas Festival in Olbia (Italy), Villa Celimontana in Rome (Italy), Musica sulle Bocche in Santa Teresa di Gallura (Italy), in Noc Jazzu in Krakow (Poland), Jazz au Chellah in Rabat (Morocco), Jarasum International Jazz Festival in Gapyenong (South Korea), Changwoo World Music Festival in Seoul (South Korea), Banjul Music in Seoul (South Korea), Blue Note in Seoul (South Korea), All That Jazz in Seoul, Cheng-Kung Hall in Tainan (Taiwan), Eslite Performance Hall in Taipei (Taiwan), Guri Art Hall in Guri (South Korea), Kous Concert Hall in Seoul (South Korea), Beishan International Jazz Festival in Zhuhai (China), Hong Kong Jazz Festival, Haeundae International Jazz Festival in Busan (South Korea), Artbridge in Daejeon (South Korea), Daegu Culture Center in Daegu (South Korea), Akordeono Festivalis Vilnius in Vilnius (Lithuania), Auditorium Umberto Agnelli IIC Tokyo (Japan), Gates’7 in Fukouka (Japan), Baecham Art Hall in Seoul (South Korea), Busan Sea Real Music Festival in Busan (South Korea), Artfactory in Daejeon (South Korea), Ulsan Jazz Festival in Ulsan (South Korea) Norodowa Orkiestra Symfoniczna Polskiego Radia Katowice (Poland), Juillet Musical de saint Hubert (Belgium), Lagoa Jazz Festival (Portugal), Letni Festiwal Jazzowy Krakow (Poland), St. Petersburg “Shostakovich” Philarmonia and many others. 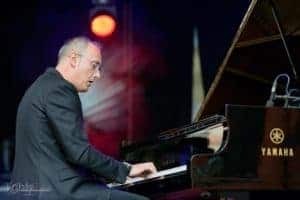 Pasquale Stafano is a teacher in piano jazz and classical, composition and arrangement in several Public and Private High Schools and Conservatory since 1998. His students won several prizes in national and international piano competitions. He held workshops and masterclasses in Italy, South Korea, Switzerland,Taiwan, Hong Kong, China and Thailand. In 2011 and 2012 he was invited for a live performance for six times as musical guest in the TV show “I fatti vostri” on RAI 2, one of main Italian TV channels, and in 2012, on VERO TV where he performed live and had an interview. He was invited for interview and live performances at “Suoni d’estate” (“Suoni d’estate”) and “Fahrenheit” programs at RADIO RAI 1 and RAI 3, respectively. He was invited in MBC Radio Seoul, one of the most famous radio program in Korea, he had a live performance and interview with Mr Bae Chul Soo. He had live perfomance and interviews also in MBC Radio Daejeon, MBC Radio Busan and EBS TV in South Korea. He is the founder and Artistic Director of “Stornarella International Music Festival” in Stornarella a city in South of Italy since 2010.